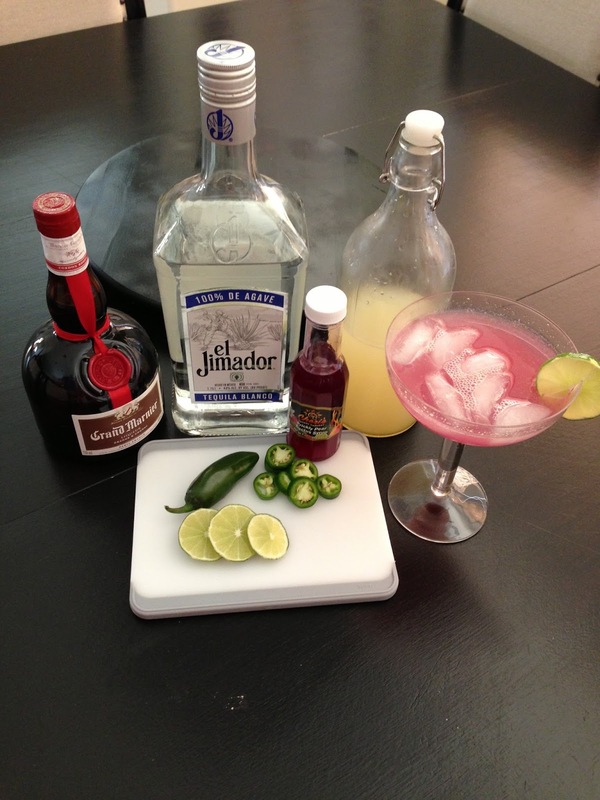 Inspired by our Labor Day trip to Scottsdale last weekend we came home and whipped up these margarita's to celebrate the last day of summer. 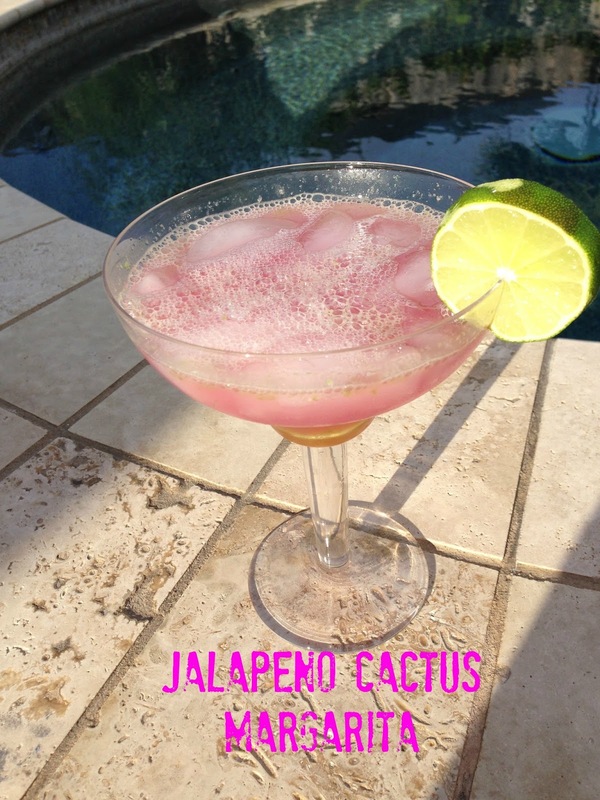 Don't let the jalapeno and cactus scare you away! It's the perfect balance of spicy and sweet...just enough to remind you of that vacation desert oasis you left behind. Luckily I found Cheri's prickly pear cactus syrup in the airport on the way out yesterday! You can always adjust the ingredients to your liking as well. 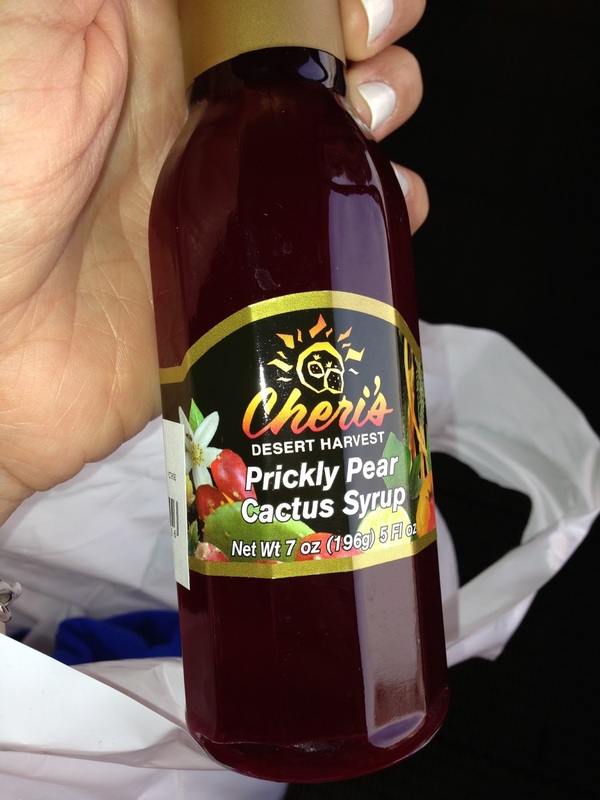 If you like it a little sweeter, add more lemonade or cactus syrup. If you want a little more heat add more jalapeno! 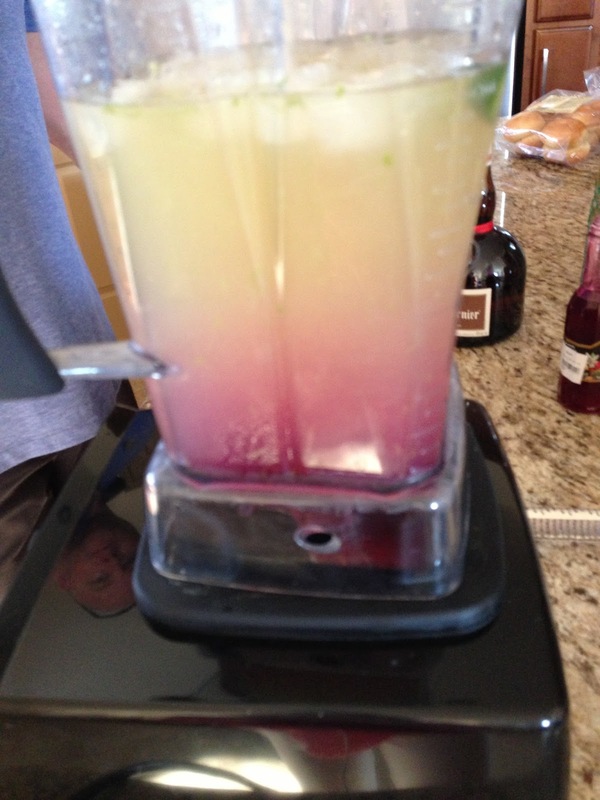 Blend, fill your cup with ice and enjoy! Ok super unfair to post this on a Tuesday morning!!!! Makes me want the weekend already!!! !